Thanks to record low prices and generous government incentives, it is now becoming common for a family household to install a 10kW solar system for around $10,000! Let’s have a look at a few of the key numbers including the price of a 10kW solar power system, and the brands you should be considering for a system of this size. The price of a fully installed 10kW solar power system has fallen dramatically in recent years. The wholesale price of photovoltaic panels continues to be driven down by market conditions, in particular, the increase in the scale of production in China. A good quality 10kW solar power system in Sydney starts at under $10,000 fully installed, including a European Made inverter such as the Fronius Symo, premium tier one solar panels such as Trina Honey modules and a standard installation (ie. no cherry pickers etc.). It is important to note that with solar panels you generally get what you pay for, and most of our customers choose high-efficiency panels from manufacturers such as LG Solar, and these top of the range systems start from around $12,000. It is possible to find a cheaper 10kW solar system for under $8,000 or so, however, this will typically require buying low to mid-range panels manufactured in China, and often without any after-sales support. For a larger residential system it is important to maximise reliability, output and of course longevity, and so spending a little more upfront can save you a lot of money over the life of the system. As a rough guide, a 10kW system can save you up to around $4,000 a year on your power bills. Of course, to save $1,000 on a quarterly bill you are going to need to use a lot of power during the daytime – as much as 65 kWh during the daytime over summer. If you are able to get the most out of your 10kW system, you could spend up to $16,000 and get a top of the range system with a return on your investment in only 4 years! 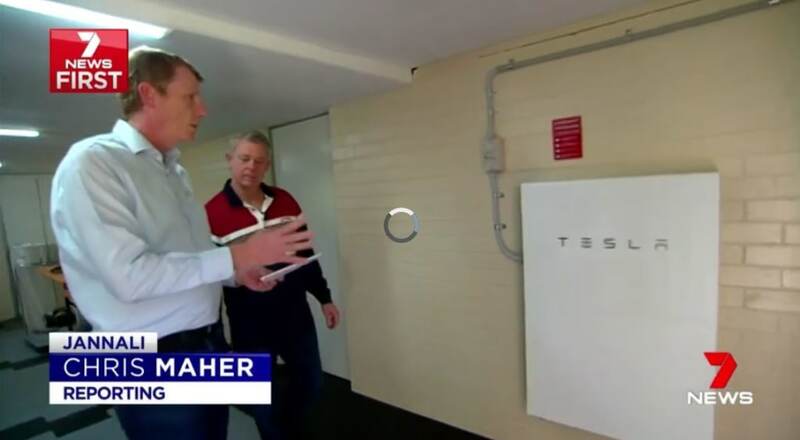 According to the Clean Energy Council guidelines, a 10kW solar system in Sydney facing north will produce an average of 39 kWh a day, outputting more power in summer and less in winter. We have found that this guideline is a conservative estimate and that by using the top brands you can get considerably more out of our system, for example, our Enphase systems give our customers on average 110% of expected output. On a sunny day in summer, a 10kW system will often give our customers between 60 and 70 kWh of power. Because this can be too much power for many households, we often recommend splitting the panel array across two orientations to distribute the output of power across the day, and to consider battery storage so that any excess solar power can then be used during the evening. How much will a 10kW solar system save me? The potential savings from a 10kW solar system depend on how much solar power you are able to use in the home at the time of generation. You will typically save around 22 to 30 cents a kWh (depending on how much you pay for your power), and depending on your retailer, you will be paid around 5-8 cents a kWh for the power you send back to the grid. A 10kW solar system can save you up to around $700 to $1000 per quarterly bill. The other consideration is roof space. By installing high-efficiency panels, we can use 30 x 330W panels instead of the standard 38 x 270W panels. The main benefit of micro inverters is that each panel is independent of the others, making it possible to design an array across different orientations and at different angles. A common panel layout is to have some panels facing north, and the others west to spread the output of solar power across the day, making it easier to use more of the solar power as it is generated. Having panels west is also advantageous if you are on time of use billing, where households typically pay around 50c per kWh between 2 pm and 8 pm for power. On larger residential systems, the panels in the middle of the array can get quite hot during summer as air flow under the panels is less than ideal. When panels get too hot, the output can be significantly reduced. Because of this, we recommend using micro inverter technology and in fact, over 80% of our systems now include this technology. Find out all you need to know about Enphase: 10 key benefits of micro inverter systems. If your roof is unobstructed by shade and can fit 32 to 38 panels across 1 or 2 sections of roof, a string inverter system may be a suitable option for your home. It is important to make sure the roof is clear of shade as if even just one panel is slightly shaded, the whole string of panels will drop down to the output of the worst performing panel. Typically with a 10kW system, there will be two strings. With a number of manufacturers recently disappearing, it is critically important that you stick to the main brands when choosing an inverter of this size. This will also ensure adequate support post sale in the event that you need to claim on a warranty. The main European made 10kW inverter is the Fronius Symo that comes with a 10-year warranty.